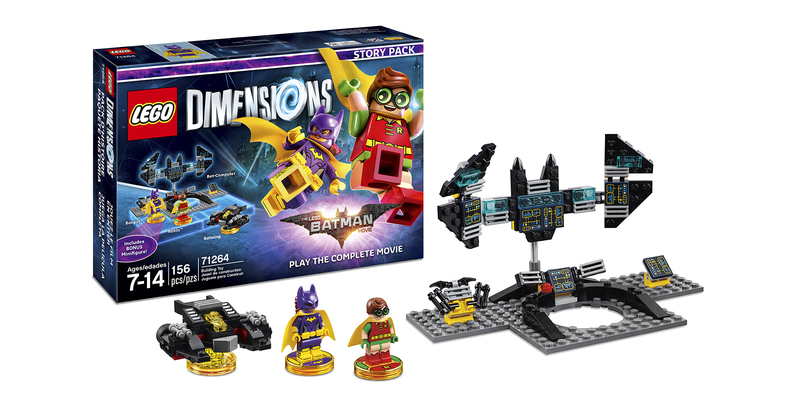 Warner Bros. Interactive Entertainment has revealed The LEGO Batman Movie Story Pack, Excalibur Batman Fun Pack, and Knight Rider Fun Pack as the next collectible expansion packs for LEGO Dimensions. Coinciding with the release of the upcoming film on which it’s based, The LEGO Batman Movie Story Pack, will provide a deep, story-driven gameplay experience with iconic DC characters in six puzzle-packed levels and new LEGO Gateway bricks that allow players to build the Bat-Computer atop the LEGO Toy Pad. The pack comes with buildable Batgirl and Robin minifigures and the 3-in-1 buildable Batwing which can be rebuilt into The Black Thunder and Bat-Tank. Gamers can play the complete movie and band together with Batgirl and Robin to fight off the Joker and his team of villains. Batgirl’s batarang, glide and stealth abilities can reach areas with high security access and Robin’s agility and dive skills provide sneak access. Players can also transform Robin into the Nightwing, utilise his vine cut, and deflect moves for more crime-fighting adventures. Batgirl and Robin provide access to the new The LEGO Batman Movie Adventure World with its own unique Battle Arena with competitive split-screen local gameplay for up to four players. Batman fans can broaden their LEGO Dimensions gameplay with Excalibur Batman from The LEGO Batman Movie. 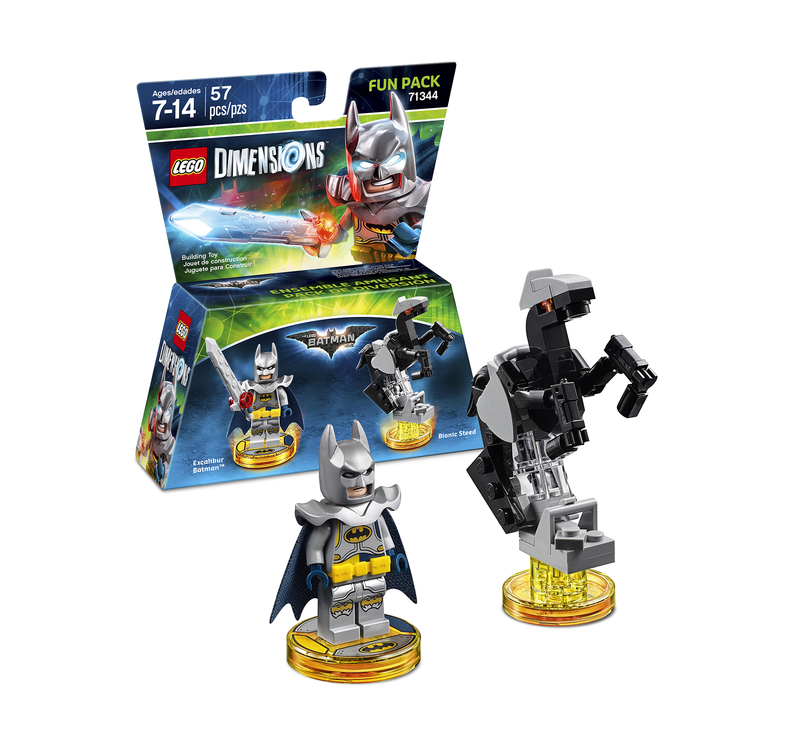 The Fun Pack comes with a buildable Batman minifigure and a 3-in-1 buildable Bionic Steed which can be rebuilt into the Bat-Raptor and Ultrabat for additional in-game abilities. Players can use Batman’s Master Builder and Sword Switching abilities to solve puzzles and take down enemies. Batman also provides access to The LEGO Batman Movie Adventure World and Battle Arena. Michael Knight and K.I.T.T. from the classic 80s TV series, Knight Rider, are also coming to LEGO Dimensions. 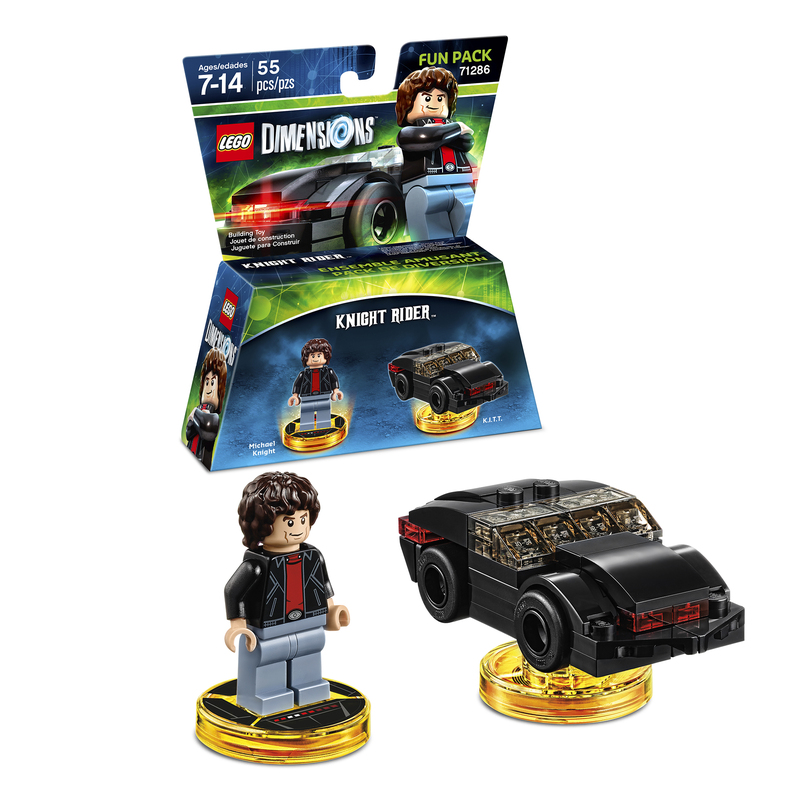 Players can add the iconic duo with the Knight Rider Fun Pack featuring a buildable Michael Knight minifigure, and a rebuildable 3-in-1 K.I.T.T., that can be rebuilt into the K.I.T.T. Jet and Goliath Armoured Semi for upgraded in-game powers. In the game, players can activate Michael Knight’s dodging and dash abilities to solve puzzles and overpower enemies or use his Wrist Watch to uncover secrets behind x-ray walls and outsmart enemies by hacking into terminals and following trails. Players can also fight crime on four wheels with K.I.T.T., the highly advanced, artificially intelligent robotic vehicle, to boost their gameplay. Michael Knight provides access to a new Knight Rider Adventure World with its own unique Battle Arena. The Ghostbusters Story Pack, Adventure Time and Mission: Impossible Level Packs, Harry Potter and Adventure Time Team Packs, and The A-Team Fun Pack will release next week in North America on September 27th and in Europe on September 30th. This will then be followed with the Fantastic Beasts and Where to Find Them Story Pack, Sonic The Hedgehog Level Pack, Gremlins Team Pack, and E.T. The Extra-Terrestrial, Fantastic Beasts and Where to Find Them, and Adventure Time Fun Packs which will be available on November 15th in North America and November 18th in Europe.